I made a friend over at The Thing of the Moment and he shot this photo of the Bar Harbor Inn where Becky and I got married. Thanks Jeff! I shoulda watermarked the thing or something. Heh heh. you know, I can always just take credit for it. 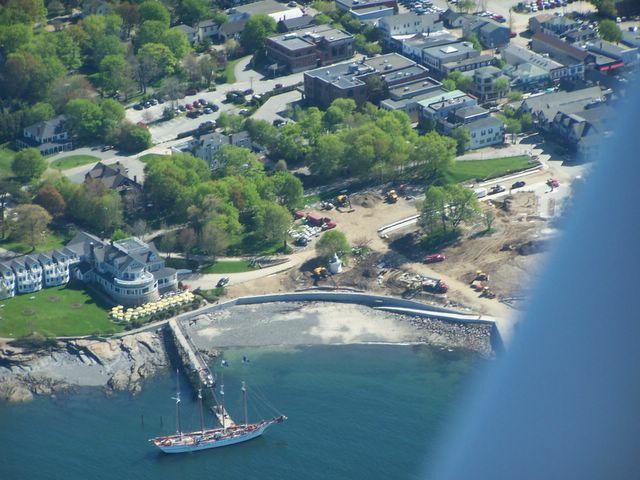 "In this picture, I flew over 10 hours from PA to capture the Margaret Todd in her beauty at the dock of Bar Harbor's most famous inn." Ladies and gentlemen - photo credit to the king: Jeff Kirlin!